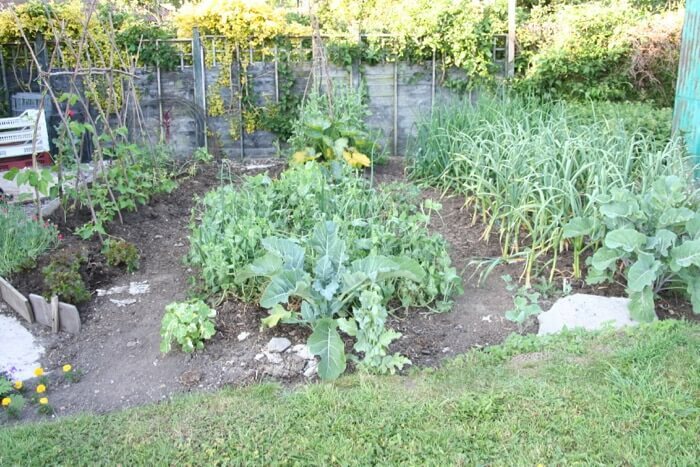 When I moved into Homeacres in November 2012, it was an overgrown area. I cleared the edges and mulched the middle, creating three beds with compost, my first beds at Homeacres, and with no wooden sides. 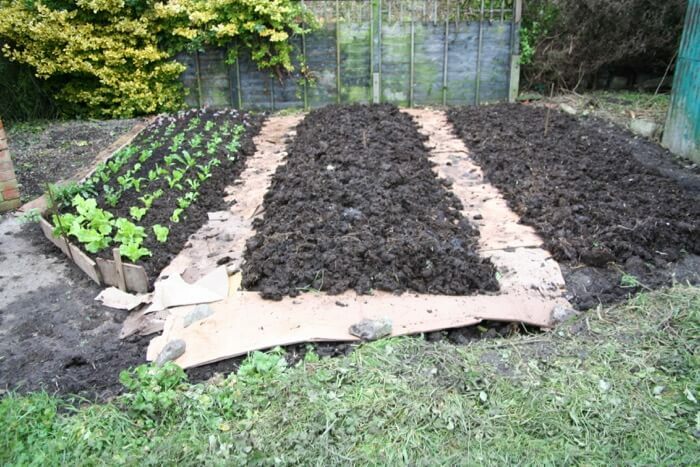 I mulched the paths with cardboard, and initially there were more slugs than there are now. Three beds comprise 25m2/270ft2, including paths. 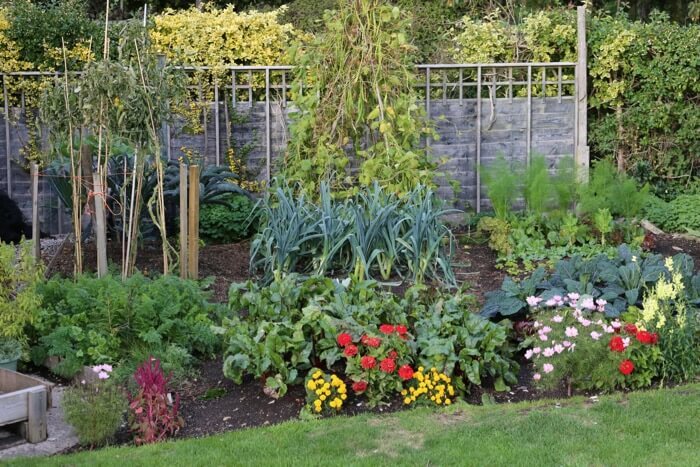 The beds are mulched annually with 5cm/2in compost of various types, homemade or bought. Usually we spread this in autumn after clearing final harvests of the year. 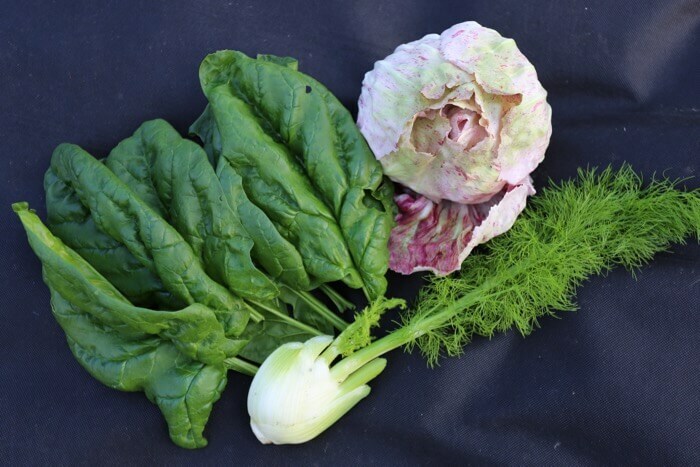 Sometimes I apply it earlier, say if planting spinach in August which will crop until early June the next year. In the 1960s’ to 1980’s this space was mostly a shed with a hard floor, and a coal fired boiler which heated a nursery of many greenhouses. 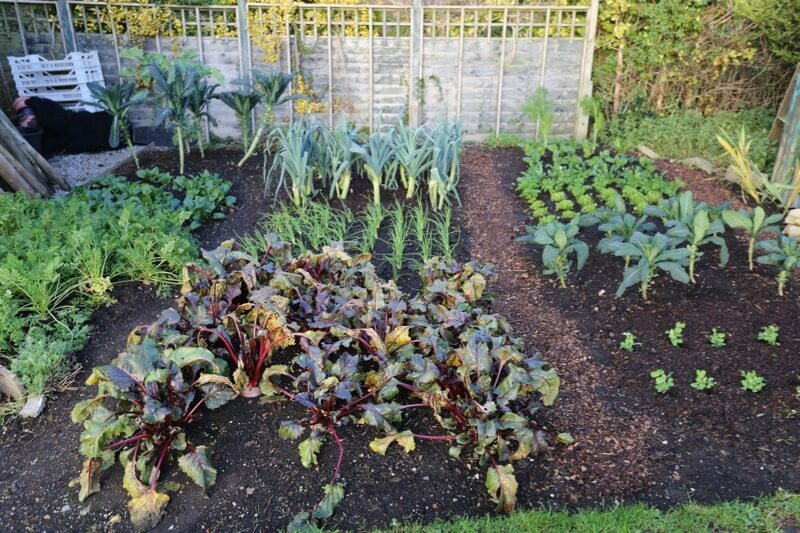 There are still many slabs in the soil, so it’s difficult to push in a cane, or hammer in a stake. 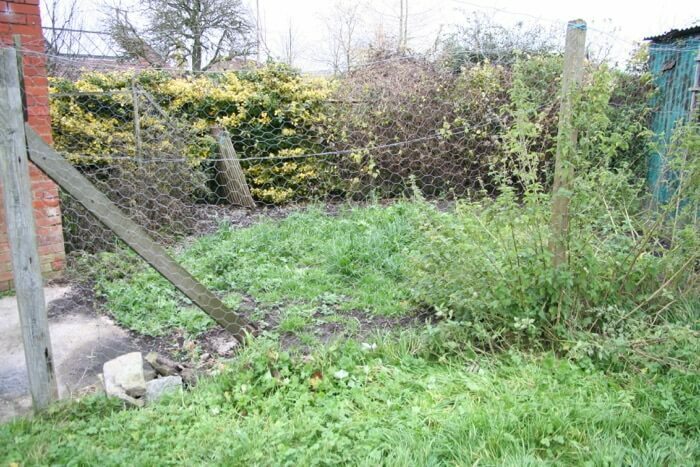 From the 1990’s it fell derelict and the previous owners ran a few chickens there, with many weeds and overgrown edges. Now we keep the edges pruned and tidy. Bindweed keeps appearing near the fence as Gert’s garden on the other side is quite overgrown near my fence. A lot of ivy needs pulling off the wood, two or three times a year. We weed the gravel edge on one side, and cut the stinging nettles on the other side, three times yearly. 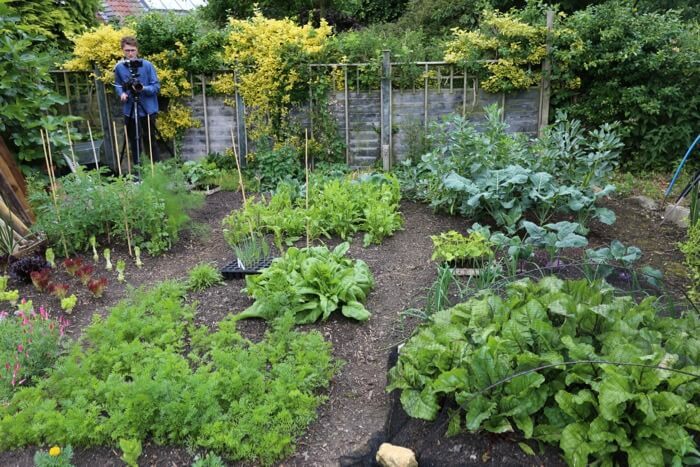 In September 2017 we made a video (Small garden (1)) to introduce this space, and explain the plan to crop it in a varied and productive way. 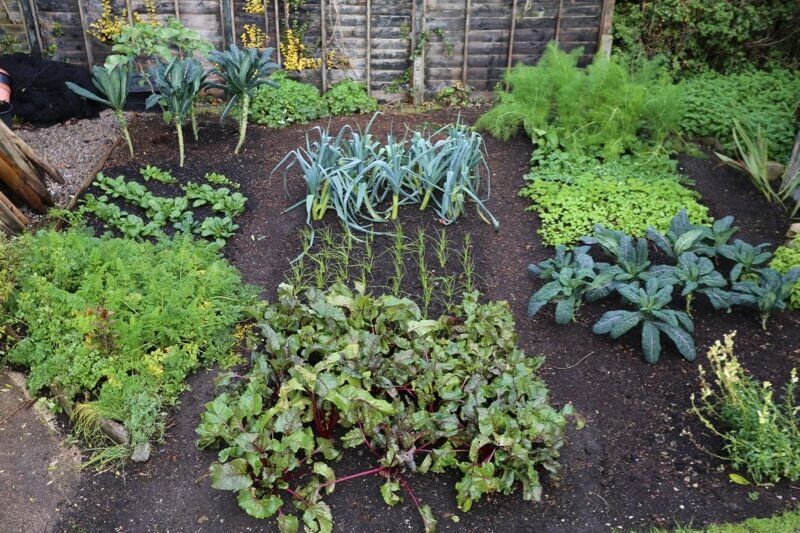 There are three beds of 1.5m/5ft width, and each is cropped in four portions of varying size. The sixth video of September 2018 gives an idea of progress since the first video. 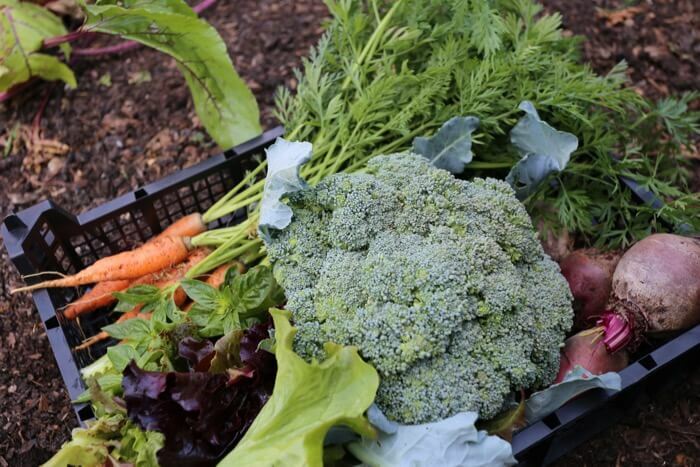 It works better to be flexible about areas for each crop, rather than delimiting a precise quarter of each bed. 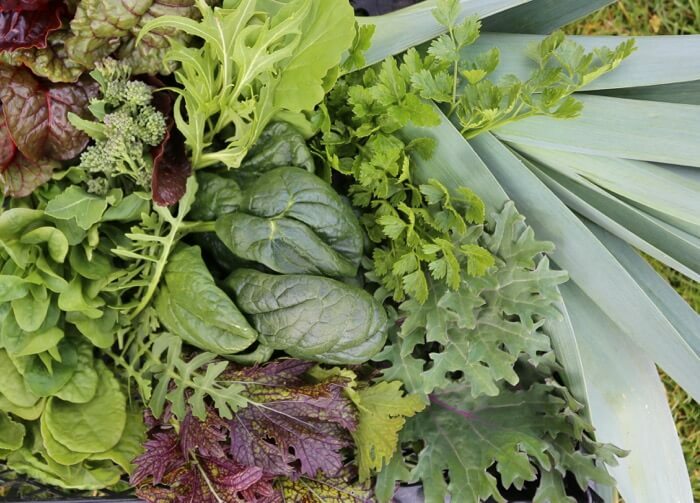 Partly because different vegetables need more or less space, and because you want to eat more or less of each one. Linked to this approach is the understanding that rotation needs not be ‘written in stone’. You do not need any fixed length of time between plants of the same family, but some time is good, where practical. 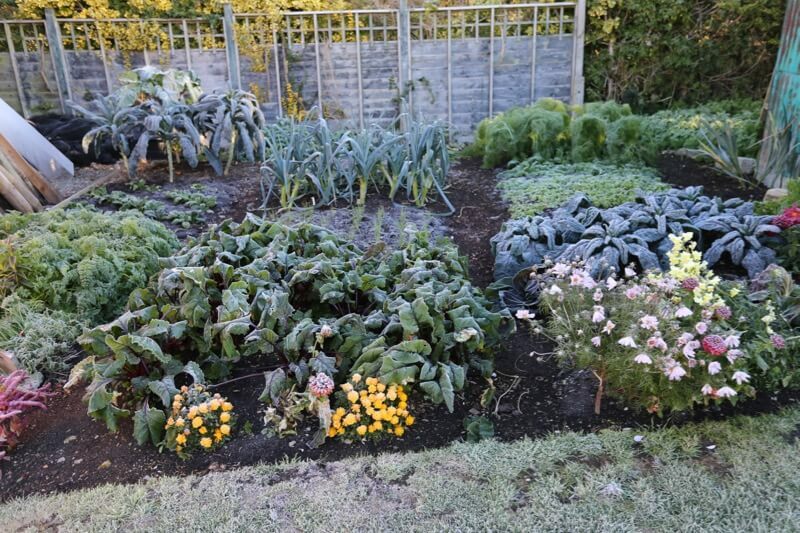 In this zone 8 and temperate climate, I can grow two crops a year of many vegetables. 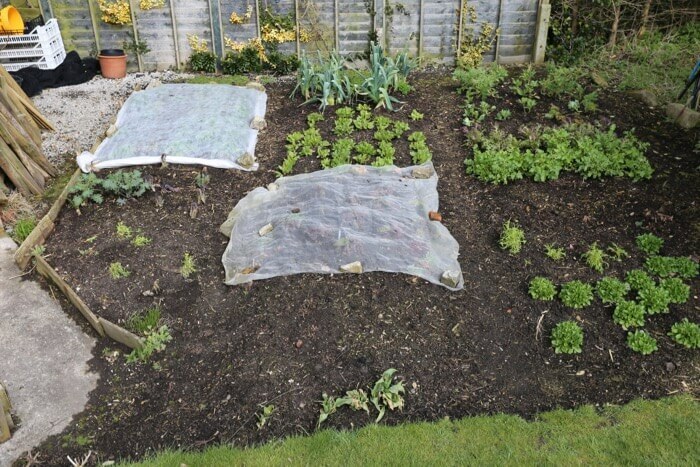 It’s a quick job to twist out the remains of crop 1, then pop in crop 2, without adding compost or other amendments, except for new plantings in autumn which crop into the following year. More details in the videos, and in my online course from February 2019.